Great supportive short with lots of stretch and maximum storage. 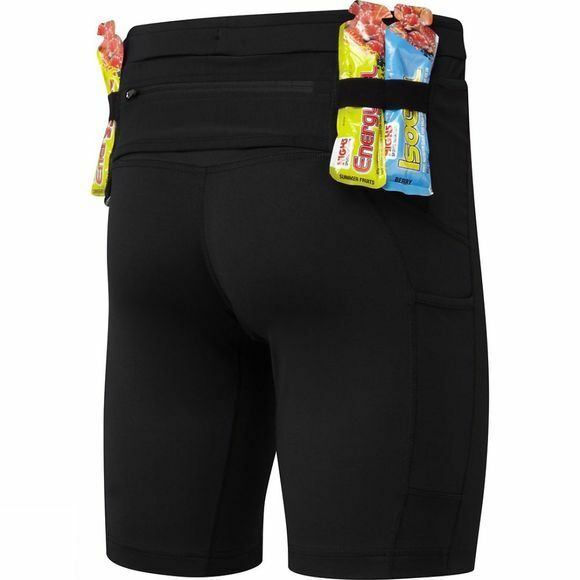 2 side power-mesh thigh pockets carry fuel flasks, sunscreen or tissues. This short has 4 elasticated loop storage for gels and an expandable pocket that accommodates a lightweight jacket or gilet – up to 600ml capacity. It also two quick access drop pockets.